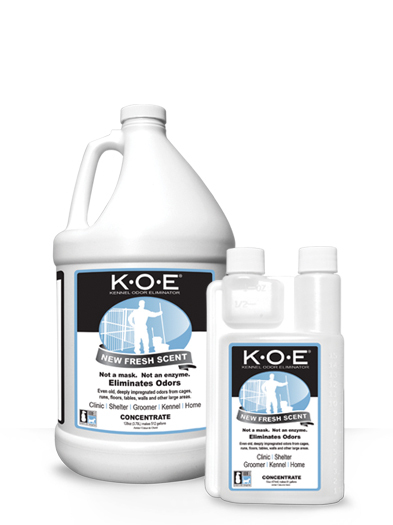 Eliminates even old, impregnated animal odors from kennels, cages, runs, walls and other large areas while leaving a fresh scent. Remove cap from the small, graduated part of the bottle. Squeeze large part of bottle, with cap on, forcing K.O.E. Fresh Scent into the measurement chamber.